HERA Director Dr Wolfgang Scholz was attending ACHEMA 2015 in Frankfurt, Germany when he came across HERA member Cuddon Engineering, with John and Robyn Cuddon, and Steve Anderson among the Cuddon crew manning the stand they had at the exhibition. We asked them a few questions about their experience. How did you come about exhibiting at ACHEMA? John and Robyn Cuddon attended an NZTE-sponsored trip to a Trade Show in Koln Germany approx 20 years ago. There we met a future agent for Cuddon Freeze Dry. Our Director Dr Wolfgang Scholz with Cuddon Engineering Freeze Dry Sales Manager John Cuddon at their exhibitors stall at ACHEMA 2015. He was involved in Vacuum Drying. We kept in touch and it was he who encouraged me to join him on his stand at Achema the following year. Three years later we joined him and three other drying companies, the following year with him alone. We made very good sales from attending these shows. Sales to Korea, Denmark, Indonesia resulted. Associations with other freeze dry manufacturers (Telstar Spain) were also cemented at ACHEMA, resulting in successful sales. 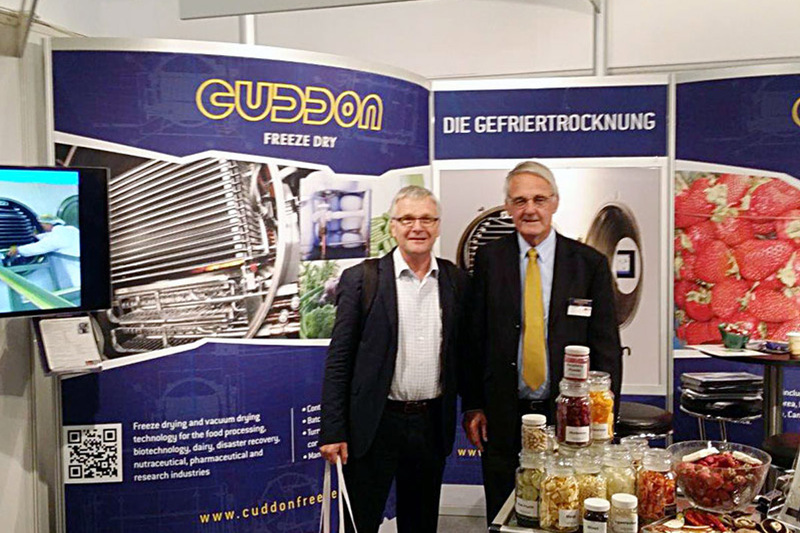 ACHEMA is the only Trade Show where Cuddon has had the opportunity to exhibit alongside competing freeze dry companies. Who was there from Cuddon Engineering? This year we had a big crew with company directors John and Robyn Cuddon joining Cuddon Freeze Dry Business Manager Steve Anderson and Cuddon Sales & Marketing Manager Blair Kibblewhite. Mr Wusong Wang joined the stand as the Korean Sales representative. Was it the first time for you? What did you do there? This is 6th ACHEMA event for Cuddon who have received assistance on occasion but see this as an open door to European prospects. For Steve, this was a first time and he felt the event was very well-supported compared to other European and US events Cuddon has attended. Cuddon planned this event for some time and had German signage and brochures. Cuddon’s stand is always popular and ACHEMA was no different – The Cuddon crew were very busy supporting the visitors, however the final day was quiet and that allowed some time to visit some of the other halls. How did you find the experience? Any lessons from it? ACHEMA is BIG! Steve underestimated the quantity of brochures and had to do several reprints during the week. He just scraped through with business cards but this is what the Cuddon crew wanted – to get our name and product specifications out there more cards and more brochures next time. Our stand is a static display which works well but we decided we may need something extra to gain attention. We had a battery-powered plane painted in corporate colours towing a Cuddon banner on an overhead tether – it looked great and we did a test flight prior to the show day. UNFORTUNATELY – the plane was stolen overnight, so one lesson is protect your collaterals by locking up valuables. Of course, this is the same for any show. How was the response? Was it productive for you? i.e. Sales? MOUs? Network connections? ACHEMA bought many interesting opportunities from wider Europe and gave us the chance to showcase our product and explain the support packages. 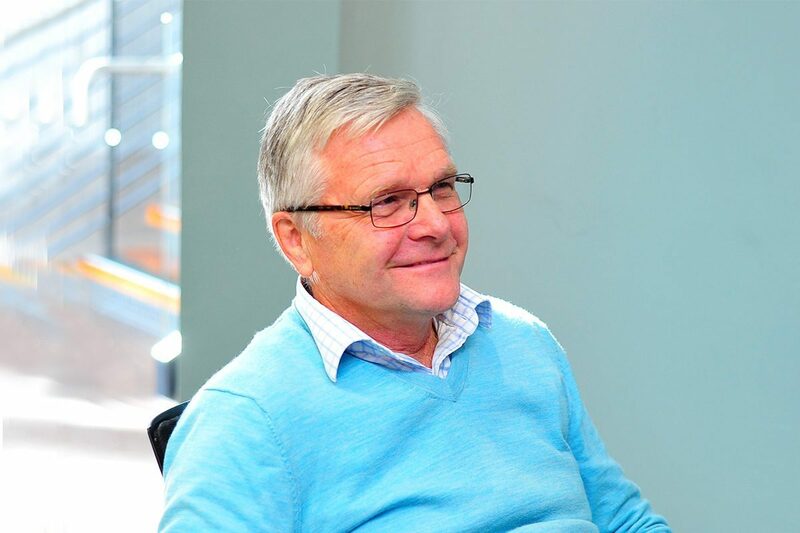 Would you encourage other Kiwi companies to do the same thing? I would certainly recommend this show to NZ companies wanting to sell into Europe.